Major itching and skin reactions on the scalp. Application of topical Minoxidil was a problem because the liquid solution would drip onto the forehead and face. This can cause problems such as unwanted facial skin changes and an increase in unwanted terminal hair on the forehead and face. Moreover, the liquid Minoxidil takes a long time to dry on the scalp and consequently often leaves stains on pillow cases, bedsheets, couches and more. 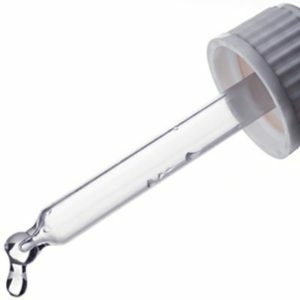 The itching and irritation that is associated with topical Minoxidil arose from the product’s usage of propylene glycol (remove PG from here since you also have this as an ingredient?) as a key ingredient. A 5% foam version of Minoxidil finally became available in 2006. It represented a huge improvement over the topical product. Although topical and foam versions of Minoxidil are still available for over-the-counter sale as of 2018, the foam version is by far the most popular. The over-the-counter 5% foam version of Minoxidil for women only became available in 2014. Despite the much better reviews for Minoxidil foam, users still complain that their hands have to get into contact with the Minoxidil foam, and the foam itself can take some time to dry out and get absorbed into the scalp. Numerous people have told horror stories about the day they left the house without realising that there was a big white foamy area on their scalp. If you forget to rub in the foam in a consistent and thorough manner, some foam residue will remain on your scalp for many hours. You will never again have to touch the Minoxidil with your fingers and hands. You will never again have liquid or foam Minoxidil residue on your heads. No itching or scalp irritation. Adjustable pivot handle enables ease of use. Mist spray applicator prevents accidental over application. It also enhances precision and evenness of each spray application. Efficient scalp absorption without wastage or drippage onto the forehead and face. FDA approved trusted hair regrowth product. Recommended by numerous dermatologists, hair transplant surgeons, salons and more. And last but not least, always at a great price!! 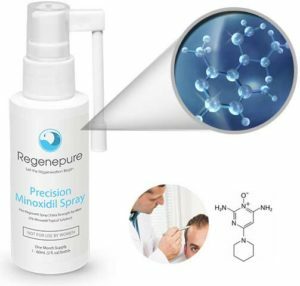 Regenepure Precision Minoxidil 5% Hair Loss Spray is a gamechanger in the fight against male pattern hair loss. Use it twice per day for men’s minoxidil spray and once daily for women minoxidil spray (3 sprays per application) and experience the benefits yourself. Make sure to also purchase the Regenepure DR Hair Loss Shampoo (add appropriate product names here) and use it in conjunction with the Minoxidil Spray. Doing so will ensure the healthiest possible scalp environment that will be the most amenable to absorbing and efficiently making use of the Minoxidil 5% Spray’s har growing properties. While many hair loss treatments are here one day and gone the next, minoxidil remains a trusted solution for men and women suffering from hair thinning and loss. The first FDA-approved topical treatment for hair loss, minoxidil has helped millions of men and women stop the progression of hair loss, and promote new growth since it arrived on the market. RegenePure Precision is the next evolution in minoxidil treatment, and will forever change how men and women care for their hair at home. Our formula contains the highest grade, over-the-counter concentration of minoxidil available on the market, and offers a revolutionary new way to apply this proven hair loss treatment. 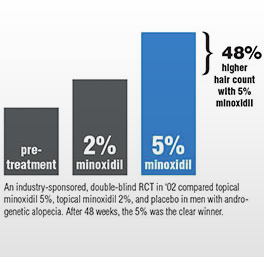 In clinical trials, minoxidil 5% led to an average of a 35% increase in hair counts among men with just 4 months of use, attesting to the effectiveness of the formula. RegenePure Precision offers a new application method that is simpler to use than a dropper and allows for greater absorption than a foam. The RegenePure Precision pivoting fine mist spray applicator delivers 5% minoxidil to the scalp where it is most effective. The fine mist creates no mess. Just spray on the formula and let the power of minoxidil do the rest. It’s the hassle-free, more effective way to get the benefits of the number one, FDA-approved hair loss treatment. Try Hair Regrowth Precision Minoxidil Spray Just For Men ! RegenePure Precision pivoting fine mist adjustable spray applicator delivers dermatologist recommended 5% minoxidil ingredient to the scalp where it is most effective.